Though the consumerism that plagues the Christmas holidays in the US is slowly creeping across the Atlantic, an Italian Christmas continues to focus on the same values of faith, family, and food that lie at the foundation of Italy's culture in general. Each year, holiday decorations expand, Santa nudges out the historic holiday symbols a bit more, and the shopping season begins a few weeks earlier (this year there were even Black Friday sales), but Christmas in Italy continues to have a simple, traditional feel despite encroachments from the New World. 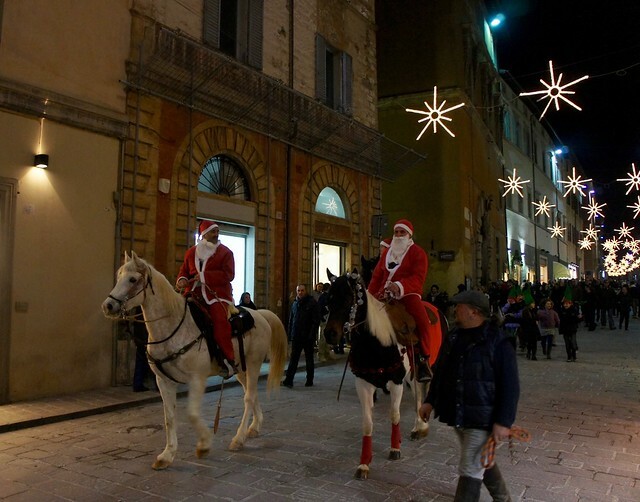 If you are planning a get-away over the winter holidays in Italy, here are a few unique Christmas traditions for an unforgettable Natale! Today, most Christmas decorations adorning stores and homes in Italy are the familiar blend of trees, candy canes, and twinkling fairy lights. For the last few centuries, however, these symbols of the season were virtually unknown and the holiday was marked almost exclusively by one single decoration: the Nativity creche. No country on earth takes the Nativity Scene as seriously as Italy, where entire streets are dedicated to artisan shops crafting and selling figurines and miniature props for the traditional “presepe”. The Christmas season in Italy begins on December 8th, the Feast of the Immaculate Conception, and most families still set up their “presepio” on that holiday, holding back the figurine of the Baby Jesus to be added on Christmas Day, and those of the Three Kings, added on the Epiphany holiday which officially ends the Christmas season January 6th. 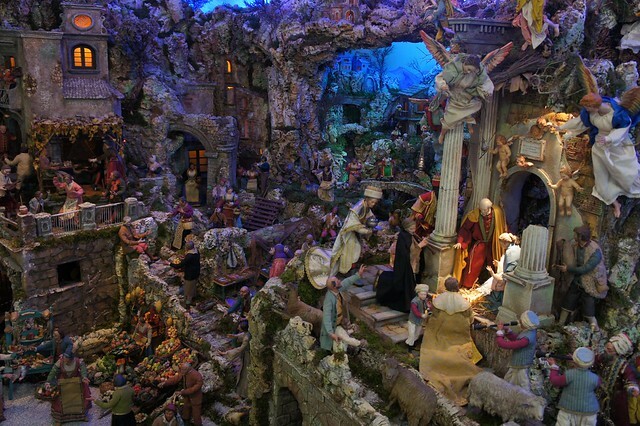 You can see incredibly elaborate creches anywhere and everywhere in Italy between December 8th and January 6th, including churches, shops, squares, and homes. Just as popular as model creches are live Nativity scenes, held in many tiny Medieval villages across Italy during the month of December. During these Christmas pageants, live actors - usually local adults and children - dress in costume and act out the Nativity story along an itinerant route against the scenic backdrop of historical stone hamlets and hilltowns. For information, you can ask the local tourist office or keep your eyes peeled for posters advertising the location and dates. 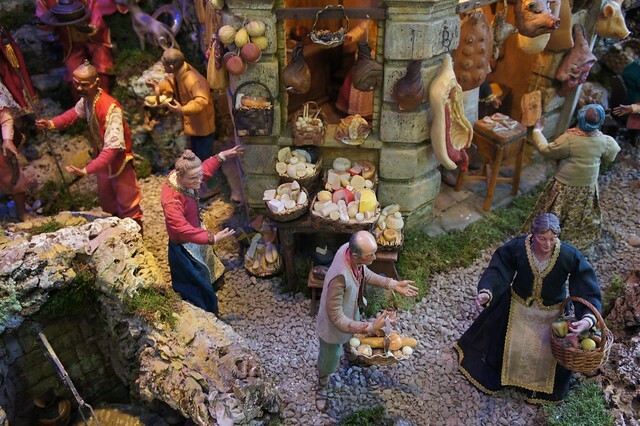 Usually a “presepe vivente” is open in the evening on December 8th, 24th through 26th, and January 6th; the more popular and elaborate presentations may also run every weekend in December. Exchanging gifts, which once played a secondary role in Italy's Christmas and was largely limited to children, is now an important part of the celebration and holiday shopping has become almost as hectic in Italian cities as it is in the US. For a unique Christmas shopping experience, avoid the anonymous and crowded stores and malls and visit a traditional “mercatino di Natale”, instead. These temporary Christmas markets are set up in main squares from Italy's largest cities to its smallest villages, and the best are charming groupings of wooden stalls strung with fairy lights selling artisan crafts, local foods, handcrafted decorations, and antiques. The largest run the entire month of December and smaller markets may only run over one week or weekend; again, the best source of information is the local tourist office, or you can often simply stumble across one in the town's central piazza. The best Christmas markets are generally those in the north of Italy, as the mercatino di Natale originated in the Alpine regions straddling the Austrian and Swiss borders, though you can find Christmas markets as far south as Sicily. Quality can vary widely, so be forewarned: you will find everything from the picturesque to the tacky. Those in the Trentino-Alto Adige, Piedmont, and Veneto regions are considered the most traditional and charming and many also hold Christmas concerts and events during the duration of the market. 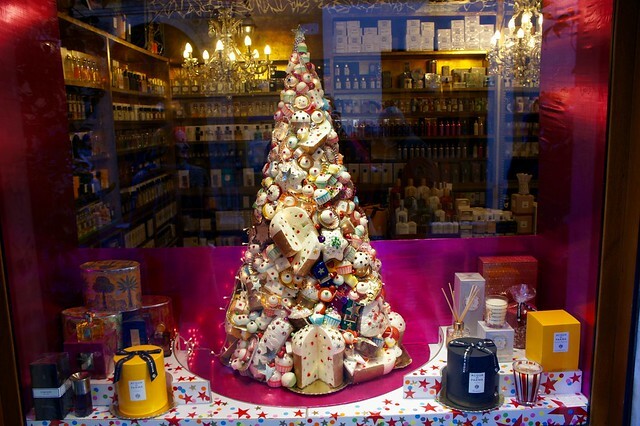 Not surprisingly, much of the focus of the Christmas season in Italy is on food, which is both the main pastime and most common gift during the holidays. 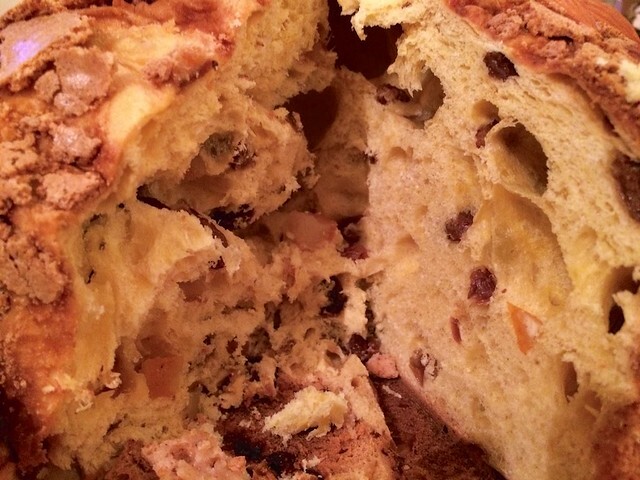 Italy's version of the re-gifted fruitcake is the grocery store panettone, which is a rich delicacy when artisan made and a dry, tasteless travesty when commercially produced. No holiday meal is complete in Italy without a thick slice of panettone - or the equally popular pandoro - served as dessert. Other seasonal sweets you'll find across Italy are “torrone”, or nougat with nuts, ricciarelli almond paste cookies, and chocolate in all shapes and sizes...alongside an infinite number of traditional treats local to a single region or even town. After Mass, the main focus of Christmas Day is the traditional, multi-course family lunch. Many families dine on fish and seafood for “la vigilia”, or Christmas Eve, though the Feast of the Seven Fishes is an Italian-American tradition, but rich meat and meat-based courses are featured on Christmas Day. 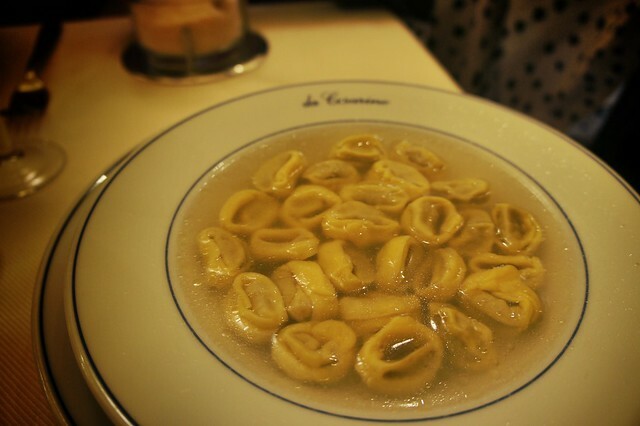 Regional traditions vary, but many areas in Italy serve cappelletti or tortellini in broth as a first course, which have been handmade and frozen in the days before the holiday, followed by heaping platters of roasted, stuffed, grilled, and stewed meats. Christmas lunch almost always lasts for hours, and as the plates are cleared away, an evening of tombola (a version of Bingo), cards, visiting, and, of course, more eating begins. Buon Natale!